Just imagine all the cool photos you'll take! (SPOT.ph) Summer is the time to go and get away from it all. Unfortunately, that means that most common getaways are crowded with tourists. 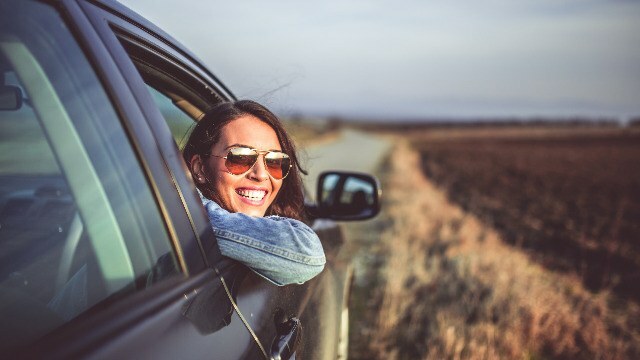 But if you’ve got the guts to tackle them, these long road trips can get you away from the madding crowd, even at the height of the summer season. While the four hundred kilometer drive can be accomplished in a single, epic twelve to fourteen hour stint, it’s best taken by first-time road-trippers in two parts. First, a six hour drive to Baguio from Manila, followed by another six hour drive along the scenic Halsema Highway, the highest road in the Philippines. Halsema Highway can be dangerous in bad weather, so it’s best to go when the skies are clear. You should also opt to take a ride that's more than capable of handling the mountain twisties. The Mitsubishi Strada’s sure-footed, carlike handling is a bonus when tackling this high-riding, winding road. 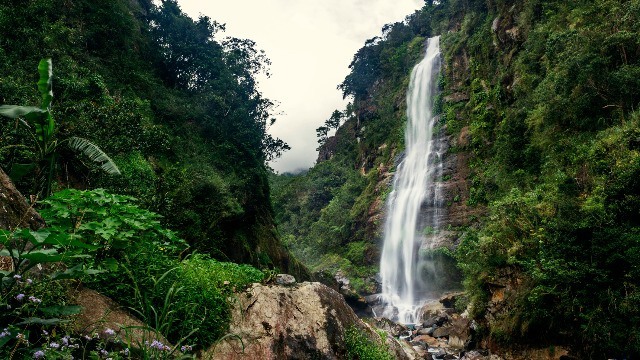 The small town boasts cool weather, cave-exploring adventure, the famous hanging coffins, and a refreshing dip in the ice-cold waters of Bokong Falls. 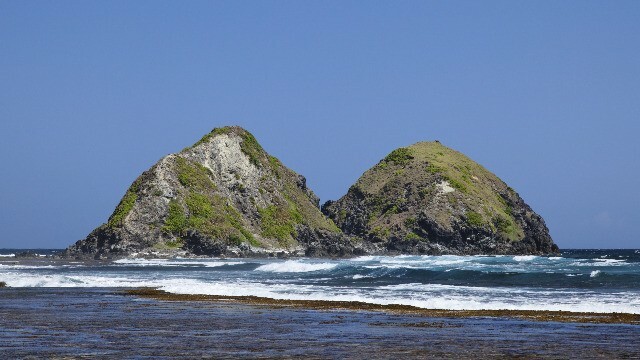 This trip is just short enough for first-time travelers to finish in one go, at just five hours and under three hundred kilometers from Manila. 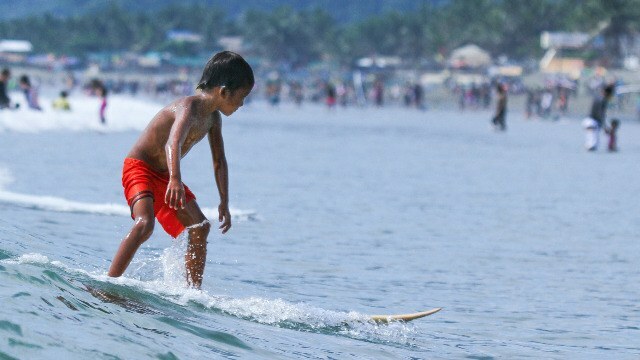 Baler is a surfer’s paradise. While most people come for the fine sand, waves and beach-side barbecue at Sabang Beach, no visit is complete without a side trip to pick up a bottle (or two, or three, or four, or...) of Nanay Pacing’s Peanut Butter. One can also visit the Museum, the Hanging Bridge or Ditumbao Mother Falls. For the more adventurous drivers, there’s a 30-kilometer detour through Aurora Memorial National Park, whose rough roads will give even the Strada’s comfortable long-stroke suspension a work-out! This drive is epic mostly for its extreme length. Nearly five hundred kilometers, via the most direct route.. Thankfully, with the newly co-joined SLEX-STAR tollways and the newly opened Quezon Eco-Tourism Road, the trip can be completed in around ten hours. As long as you don’t stop and dawdle at the various sights on the picturesque Pan-Pacific Highway! There are various locations from which you can view Mayon, including various gardens, churches, the Planetarium and the famous Cagsawa Ruins. 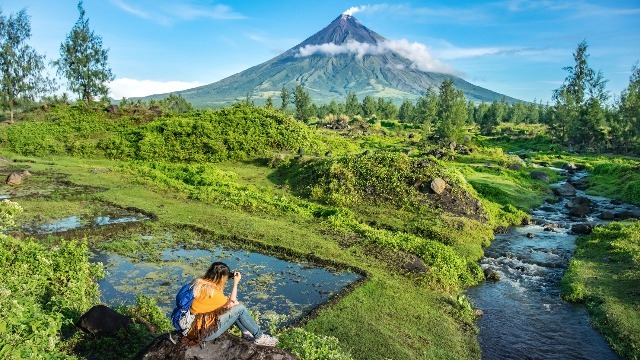 Sadly, you can’t drive your Strada right up to the volcano, but there are ATV tours to the Lava Wall, where you can get one of the most unrestricted views of Mayon around. If the southern loop isn’t long enough for you, you can chart a course north, to the beaches of Pagudpud in Ilocos. A five hundred sixty kilometer trek. 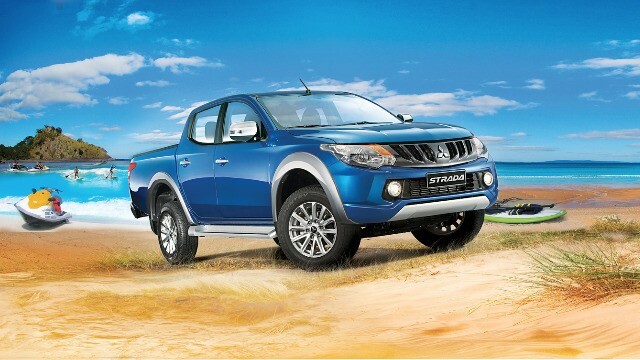 One which will make you appreciate the fuel economy of the Strada’s new 2.4 liter MIVEC diesel! Once you tire of the sun, sand and surf of the beaches, you can visit the massive windmills of the Bangui Wind Farm or head back south to Vigan, one of the most picturesque and historical towns of the north. Don’t forget to bring a cooler so you can bring home a few kilos of the town’s famous longganisa! For more information on the Mitsubishi Strada, visit Mitsubishi's website.